Happy Holidays from Shine Your Light Books. 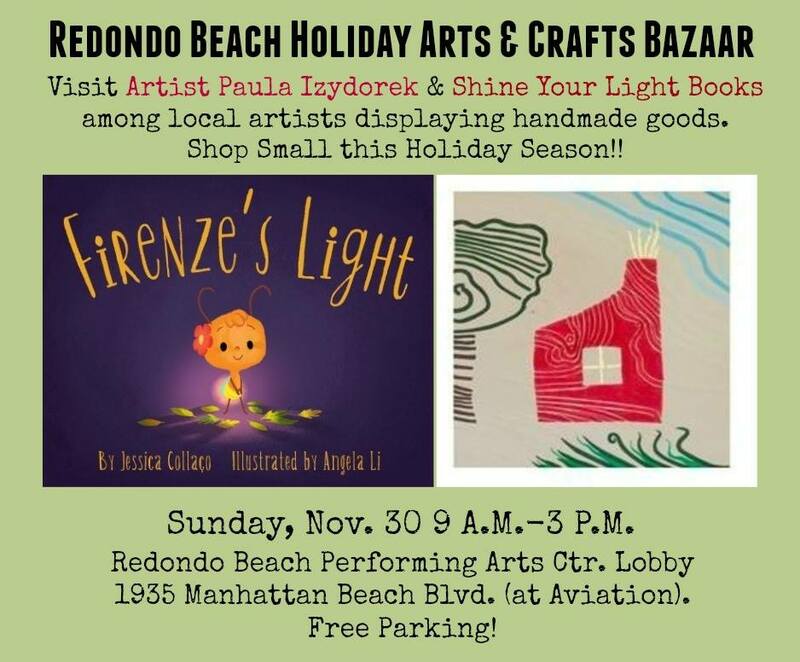 Join Artist Paula Izydorek and Shine Your Light Books at the Redondo Beach Holiday Arts & Crafts Bazaar on 11/30 from 9-3. Celebrate and support small businesses this holiday season.